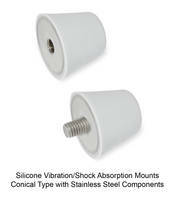 Silicone Vibration/Shock Absorption Mounts are compliant to RoHS standards. 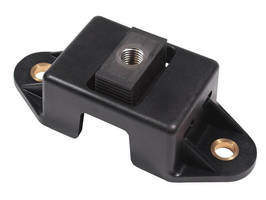 GN 256 Silicone Vibration/Shock Absorption Mounts are offered with tapped hole or threaded stud. These unit are made from age-resistant silicone rubber material and are used as end-stop bumpers or leveling feet. 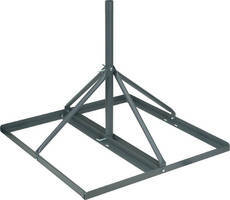 Mounts are suitable for food and medical industry and can act as dampers to prevent shock and rebound. Bell Mount Series Deflection Isolation Mounts are made of zinc plated steel. Bell Mount Series Deflection Isolation Mounts are suitable for generator sets, diesel engines, compressors, pumps, off-highway, and construction equipment applications. 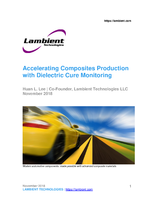 Units protect natural rubber from fuel, oil and weather. 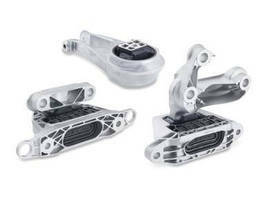 Product features inter-locking metal components. 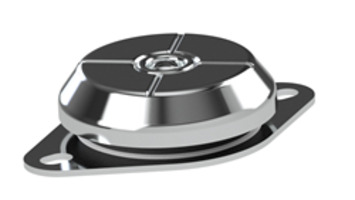 Steel Vibration Dampening Leveling Mounts are RoHS compliant. 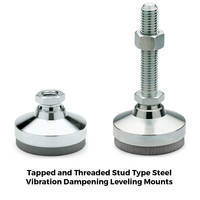 Tapped Type Steel Vibration Dampening Leveling Mounts come in GN 342.1/342.2 metric size. 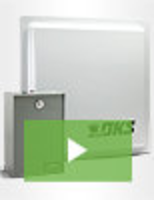 Units are operated in a temperature range of -30° C to +70° C and come with base, tapped socket or threaded stud. These products feature blue passivated finish and the dampening element is made of gray anti-slip elastomer material. 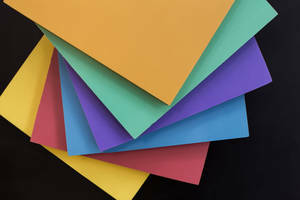 FAB-EPM HP Foundation Isolation Materials offer low frequency vibration isolation. Suitable for building, machine foundation and machinery, FAB-EPM HP Foundation Isolation Materials are made of mixed cell polyurethane foam. 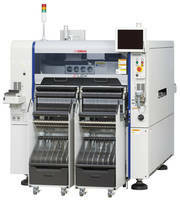 Available in sheet/roll form, materials offer optimal isolation performance. Engine Mounting Systems reduce vehicle weight. Engine Mounts for Boats reduce vibration at low speeds. 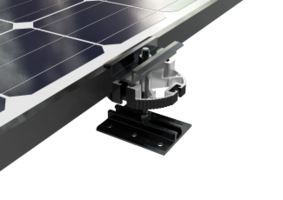 Self-Leveling Chocks eliminate soft foot.